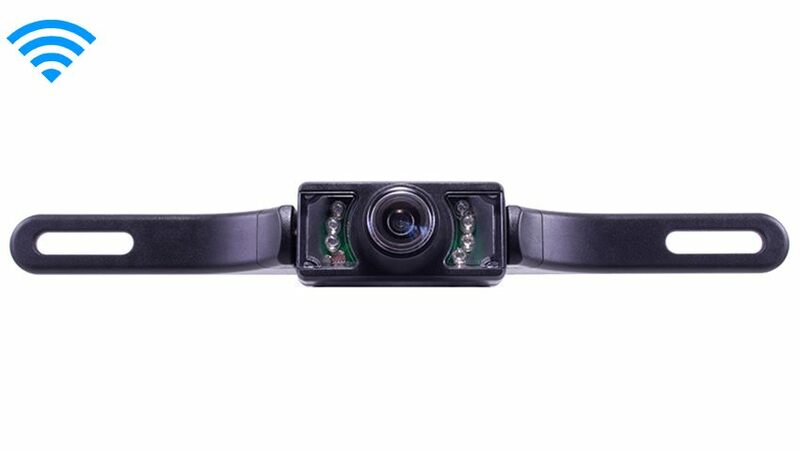 Our wireless license plate backup camera is made from hard, rugged plastic that is built to last. It is 100% weatherproof, so don't stress out if starts raining – just set it and forget it. Installing this license plate backup camera is a breeze. You don't have to worry about drilling holes, installing mounting brackets, or modifying your vehicle in any way. Just screw your current license plate screws through the camera's brackets and you are good to go. For even more added convenience, it is also wireless up to 70ft. Does this uniit work with the Garmin Nuvi 885T GPS? As long as there is an input for RCA then yes.